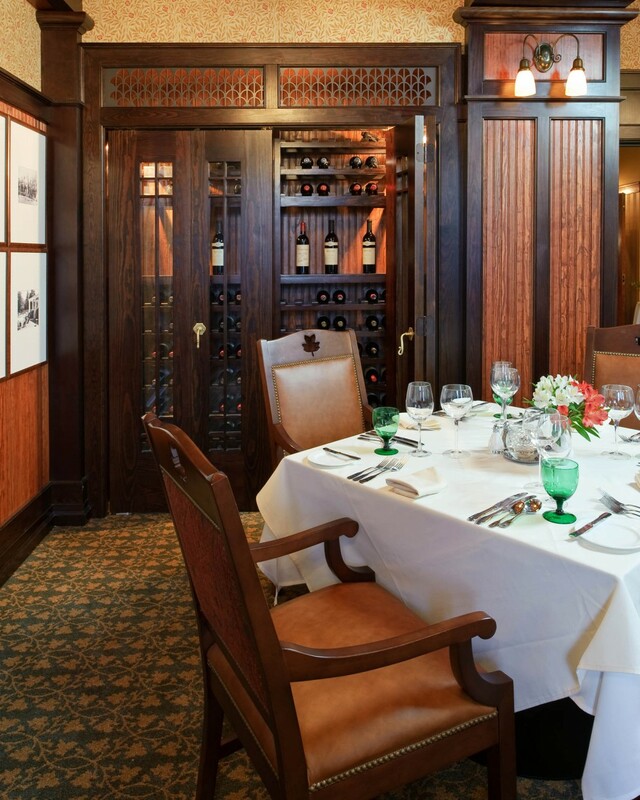 THE 1895 GRILLE in the Holly Inn at Pinehurst is one of the most iconic spaces surviving from the resort’s 1895 beginnings. 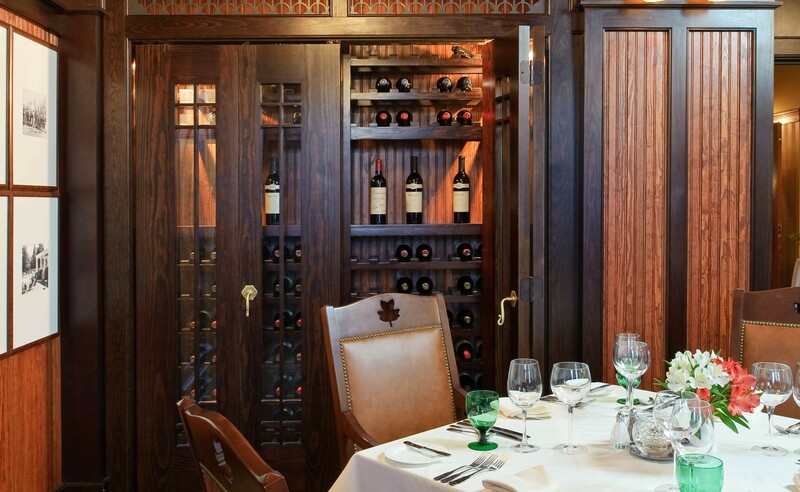 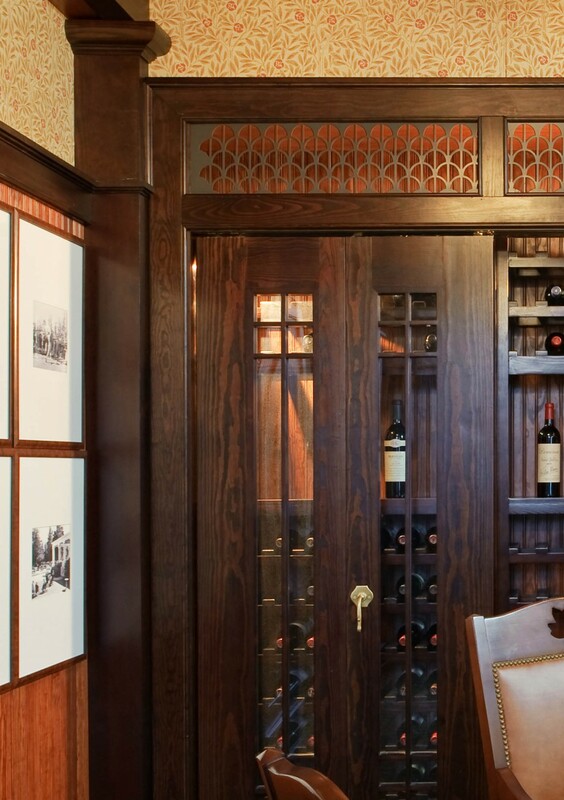 The Glavé & Holmes Architecture (G&HA) design team was sensitive to this history when commissioned to redesign and expand the beloved restaurant. 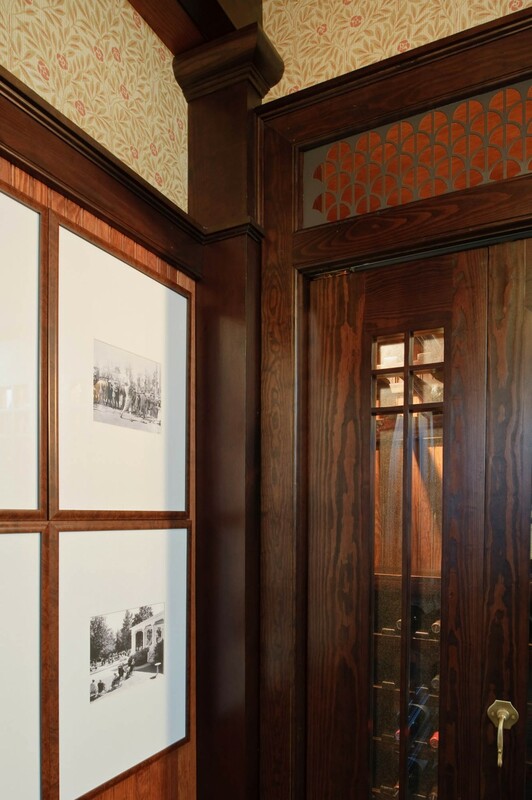 New millwork and beams were carefully crafted and stained to complement the originals, and unique materials such as hand-blocked wallpapers from England, fabrics from Italy, and a custom carpet helped to achieve historical veracity. 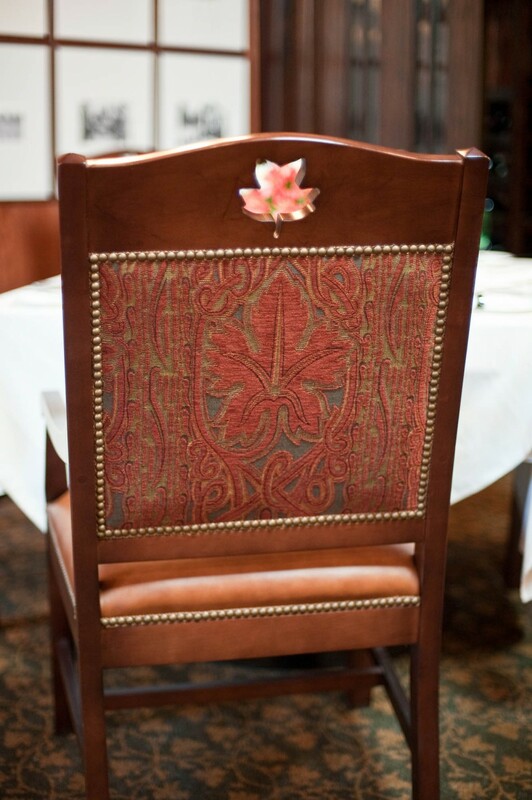 The pierced-back chair with its tulip poplar motif (after a prevalent North Carolina species) is a bespoke piece inspired by Arts and Crafts architect, Charles Voysey.